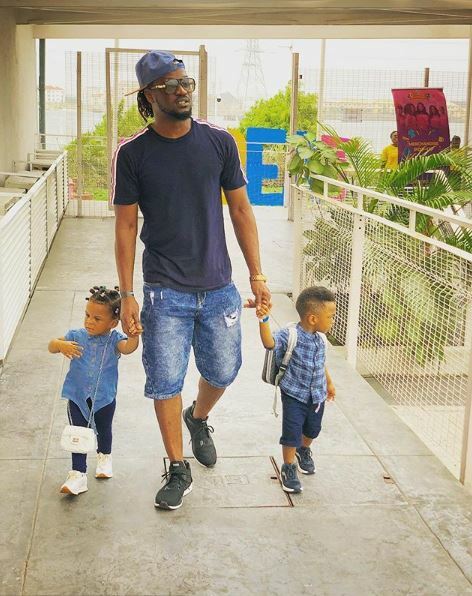 Paul Okoye’s many fans know that he is super proud of his children and dotes on them whenever he has the chance to. The Superstar singer loves releasing new images of the kids every now and then, and has especially declared his undying love for his twin babies. Paul, who now goes by the stage name, King Rudy, has shared some new photos of himself and the twins. In one photo, he is seen taking a walk around his neighborhood with the children.